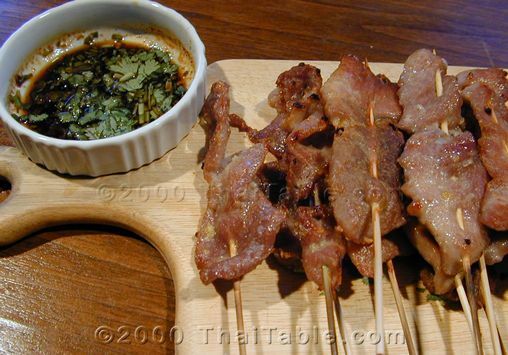 Moo ping is grilled pork on skewers. 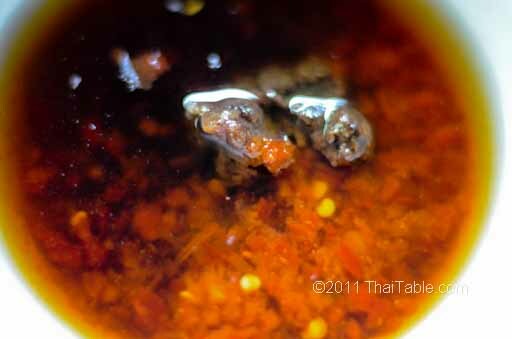 It is eaten as a snack in Thailand. It can be eaten with or without sticky rice. It is a great barbeque item for kids and adults. 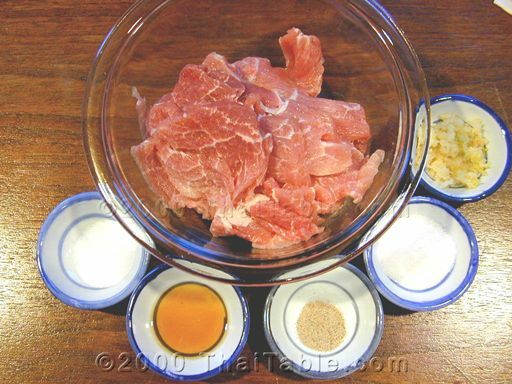 Try the same marinade with pork chops! Soak the bamboo skewer in water at least 1/2 hour (while you marinate the pork), to prevent them from burning while on the grill. 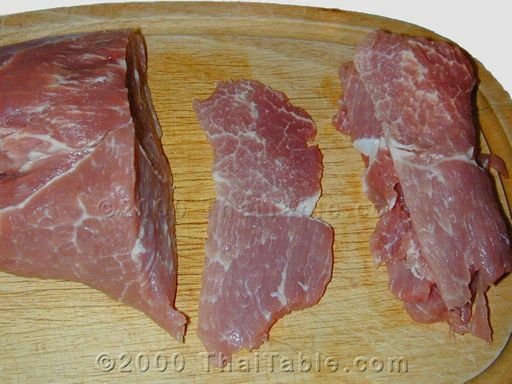 Slice the pork into thin long strips, a quarter of an inch thick. If you are planning on using the skewer, inch wide strips are better. If you are grilling the pork on the grill without the skewers, a bigger piece will help it from falling into the coals. Press or mince the garlic. 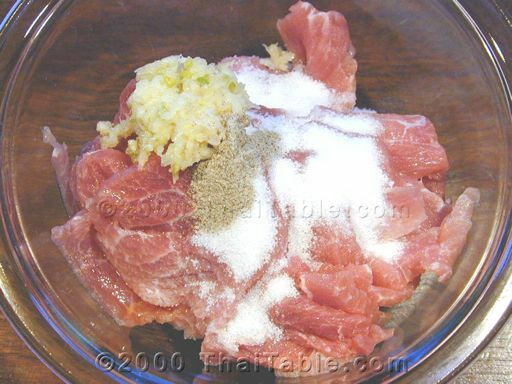 Mix all ingredients together and marinate for half an hour or even over night. 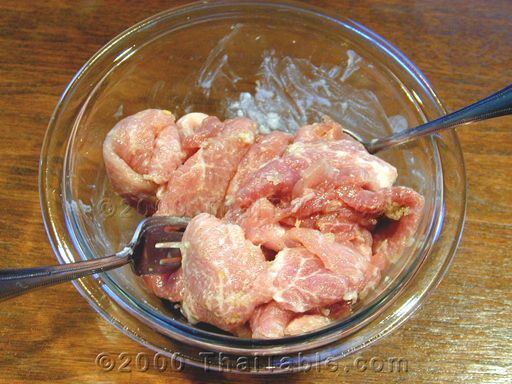 If you are using the skewers, thread a skewer through the pork. Grill the pork until it is well done. 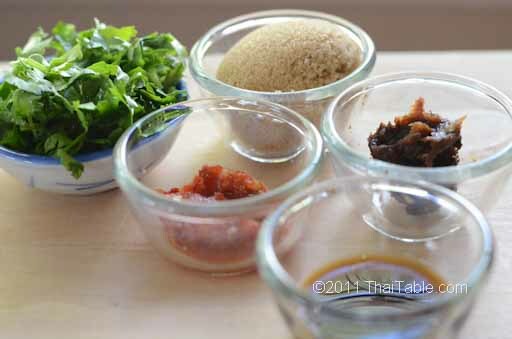 Heat up water, brown sugar, fish sause, cilantro, tamarind and chili garlic sauce in a small bowl in the microwave for 2 minutes, depending on the power of your microwave. Stir and make sure all the ingredients are dissolved. 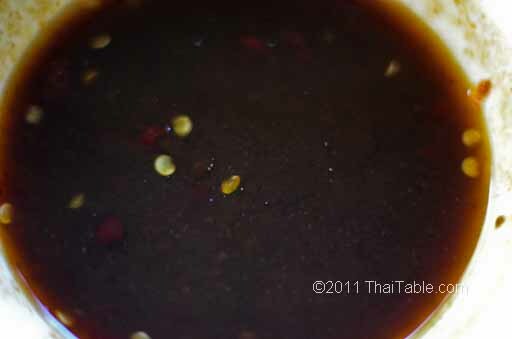 The sauce will thicken as it cools down. Add chopped cilantro. Ready to serve with grilled pork.